On April 26 1937 the small Basque town of Guernica was bombed without warning by the German aviation. Two thousand people, all civilians, got killed. 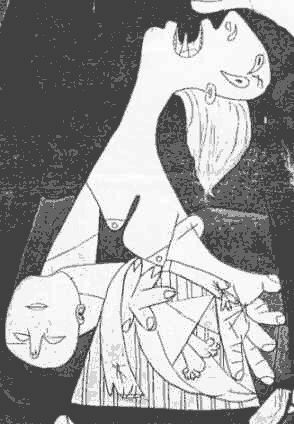 Like millions all over the world, Pablo Picasso was shocked and he translated his emotion into a magnificent but terrifying picture bearing the name of the martyred city. This film does not only comment on the painting, it also gives it a new life through frantic camera and sound effects.